Palazzo Guglielmo in the past was the economic and historic center of the village, the beating heart of Vignacastrisi society. 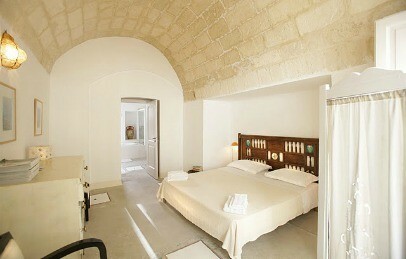 Suitable for those who want a little secret corner of Puglia ready to be discovered. In the small town of Vignacastrisi, in the Salento area, a few kilometers from the Adriatic Sea, lies the charming Palazzo Guglielmo, located in the main square. The beautiful city of Otranto is only 15 km far from Vignacastrisi, while the city of Lecce is 45 km from Palazzo Guglielmo. The airport of Brindisi is about 95 km away. Located in the heart of the town, Palazzo Guglielmo has been for years at the center of economic and social life of the small village. Fully restored to new life in 2008, but still preserving its historical structure, the Palazzo Guglielmo is now a charming place of rest and an ideal base to visit the Salento area, just a few steps from the sea. The service is very attentive, informal, and it will make its guests feel at ease. 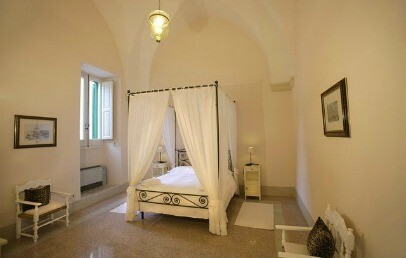 Guests of Palazzo Guglielmo can choose among 8 Standard, 4 elegant Suites and 2 Apartments. Some overlook the courtyard on the inside of the Palazzo, some the small garden and others have a small terrace. 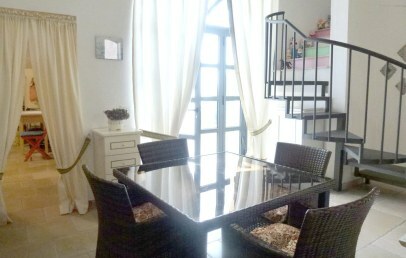 All are equipped with a small sitting area, furnished with chairs/loungers and small table. Standard – Double rooms, some with the possibility to add 1 or 2 people accommodating in a single or double sofa bed. 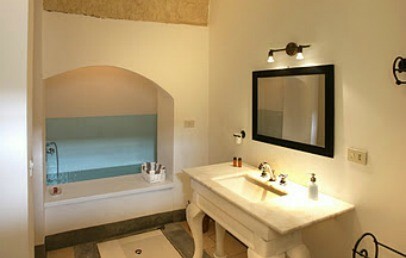 The major part of the rooms have a bathroom with Jacuzzi tub with shower or with separate shower, some with tub and shower and some only shower. The room surfaces are from 16 sq.m. to 40 sq.m. 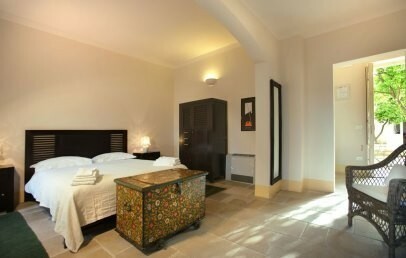 Suite – The Suite are called Simeon, Fante, Tito and Lucia and can accommodate up to 4 or 5 people. 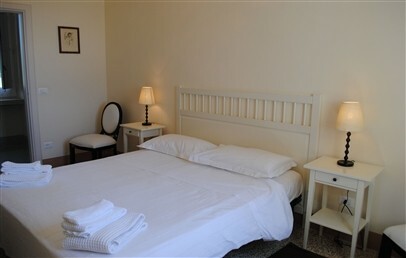 They have a double bedroom and a second room with sofa bed single or double or two single beds. The bathroom has tub/shower. The room surfaces are from 40 sq.m. to 55 sq.m. 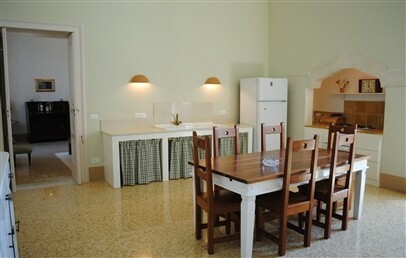 Apartment – The apartments are the Grand Suite Sonia and Casa Margherita and can accommodate up to 5 to 6 people. One has 2 double rooms and 1 single bedroom and the other has 3 double rooms. The 6th person is accommodated in the living room. Both have 2 bathrooms, full equipped kitchen and living room. 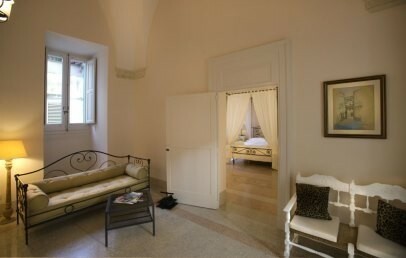 The Grand Suite Sonia is situated on the noble floor of the Palazzo with a terrace. Casa Margherita instead on the ground floor with private garden. Palazzo Guglielmo has deliberately not included the TV in its rooms, to ensure guests the most complete tranquility. The sea of Salento is just 3 km away from the Palazzo Guglielmo and it is easily reached by the hotel shuttle service, to book on spot. The small wellness center of the Palazzo Guglielmo has been found in the old barn and has a Turkish bath, emotional shower and a heated whirlpool. Guests can choose from various massages for body, well-being and beauty. Guests have one complimentary afternoon access of a duration of approximately one hour, subject to availability. Palazzo Guglielmo offers breakfast to its guests included in the price and served on the ground floor lounge. The restaurant of the Palazzo is called "Casa dell'Angelo" and is open every day at lunch and dinner time. The guests have a direct access to it through the garden of the Palazzo. The meals are based on seafood and provides also light lunches with salads and sandwiches as well as menu for kids. Palazzo Guglielmo has several areas, both indoors and outdoors, where guests can relax and enjoy quietness. Comfortable lounge areas are to find under the orange grove of 2000 sqm, the small pool and the court itself are havens of peace, outdoor and in contact with nature. Inside the building, on the first floor there are common areas, where guests can spend some time together: here are available a small reading room, a library and a corner bar. In the beautiful terraces guests can have a drink with friends, relax in the Jacuzzi and participate in cooking classes of typical cuisine. Rooms with double bed and some have the possibility to add a 3rd or 4th bed. All are decorated with soft and fresh colors. The bathroom has a whirlpool tub with shower inside, or in the Bukowsky room it has a separate shower and in the Sud room only a shower. A small sitting area outside with a table and chairs and they overlook the courtyard. Included in the room price is the change of linen and towels twice a week. For further changes on request and with a supplement. Suites are comfortable and decorated with soft colors with white dominating. They are composed of a double bedroom and another separate room with one or two single beds. The bathroom has a tub and a shower. On the outside is a small sitting area arranged with table and chairs and overlook the courtyard. 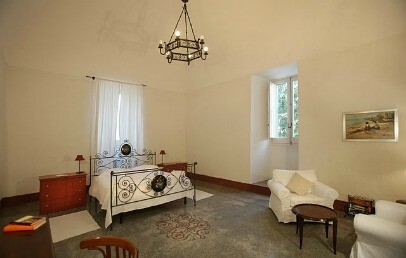 Two apartments are available at Palazzo Guglielmo: Casa Margherita and Gran Suite Sonia. 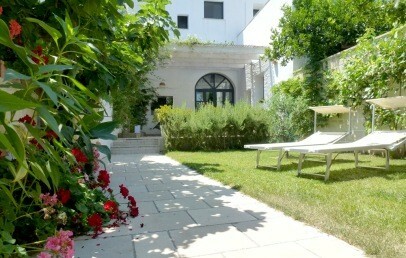 Casa Margherita has an independent access from the street with a cozy garden. The Gran Suite Sonia instead is located on the first floor of the main building and is very bright and spacious with granite flooring. It offers 3 bedrooms (two double and one twin), 2 bathrooms (one with Jacuzzi tub and the other with shower), a kitchen and a living area with view over the terraces and garden. Casa Margherita offers the possibility of living in a typical southern Italy house by having advantage of the use the hotel amenities as pool, garden, relaxation areas, restaurant, Jacuzzi on the terrace. Casa Margherita has 2 double bedrooms, one single bedroom, 2 bathrooms, a living room, a large kitchen, a terrace with outdoor shower with garden. Breakfast is served in the dining room or in front of the pool. 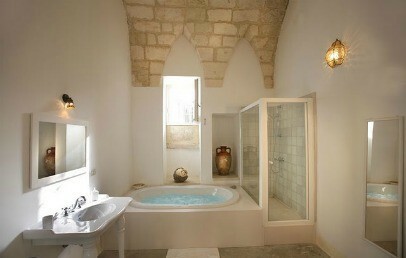 Services included: daily room cleaning, use of the hot tub on the terrace of the Palazzo Guglielmo. Special for Charming's guests: a bottle of wine on arrival. Only for Charming's customers: free upgrade to a higher room category (upon availability).